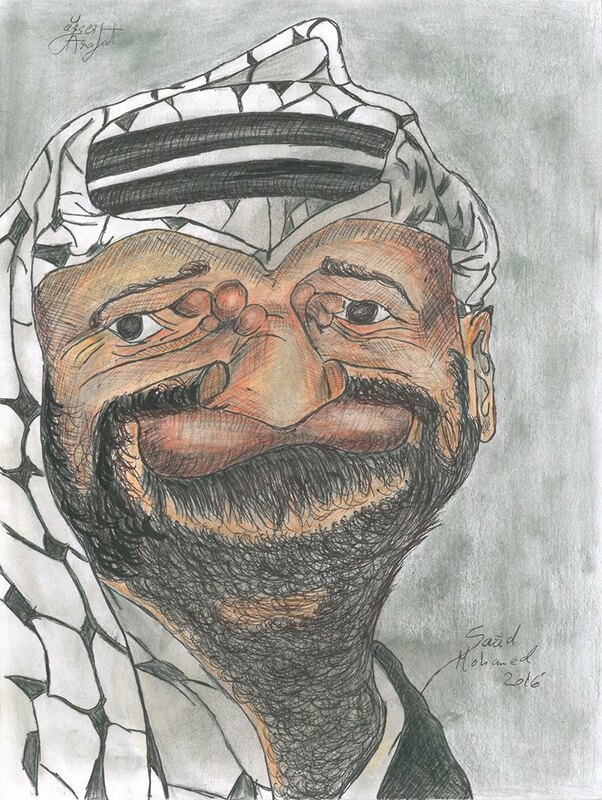 Caricature of Arafat / Mohammed Yasser Abdel Rahman Abdel Raouf Arafat al-Qudwa, popularly known as Yasser Arafat or by his kunya Abu Ammar, was a Palestinian political leader. He was Chairman of the Palestine Liberation Organization (PLO) from 1969 to 2004 and President of the Palestinian National Authority (PNA) from 1994 to 2004. Ideologically an Arab nationalist, he was a founding member of the Fatah political party, which he led from 1959 until 2004.